#1: Infant Car Seat: You can purchase these either as part of a travel system or on their own. Personally, I am a huge fan of the Graco Snugride 35, I used these for both my kids. They are sturdy infant seats, easy to carry & fairly easy to adjust. I also LOVE that they can snap into Graco strollers so easily. #3 Lightweight stroller: These are much smaller and perfect for traveling or when you need to just toss it into a friend’s car. 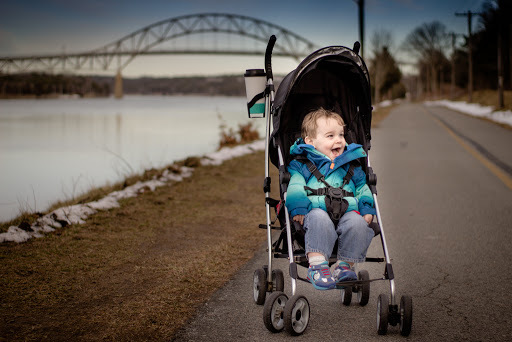 I own the Summer Infant 3D Lite and it is a wonderful and affordable little stroller. After over a year, the wheels are starting to squeak a bit and the fold occasionally catches but it’s doing pretty great considering it’s been checked on quite a few flights and tossed around a bit! If I had all the money in the world, I would buy the GB Pockit, which folds up to fit into a 12 x 7 box and weighs less than 11lbs! #4 Convertible Car Seat: Most babies switch to a convertible car seat between 6 months and 18 months old. 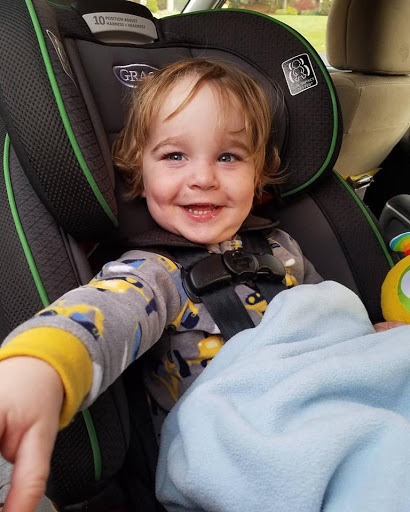 Current safety reports suggest that children stay rear facing until they are AT LEAST 2 years old, however, the longer they remain rear facing, the safer they are. I suggest purchasing a convertible car seat that will rear face until 40-50lbs which will get most children until 3-6 years old. We own a Graco 4ever for PJ and I don’t think I’ve ever been in love with a piece of baby gear so much in my entire life. It is a super easy install, has a 10-year expiration and can fit a child from 4lbs to 120lbs. It works as a convertible seat, a high-back booster and a backless booster. 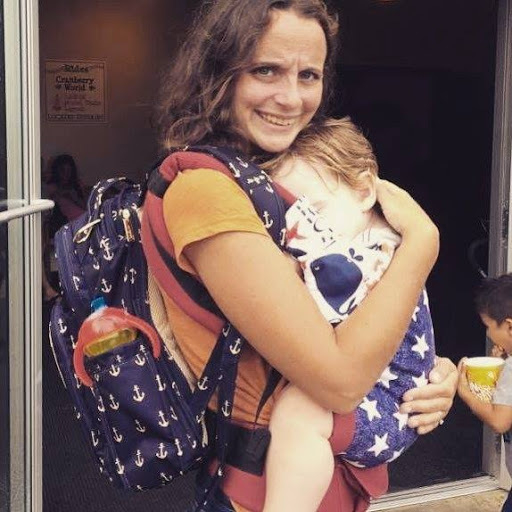 There’s also this wonderful thing called a “no rethred harness” which means it is incredibly easy to change the strap height when the child grows! 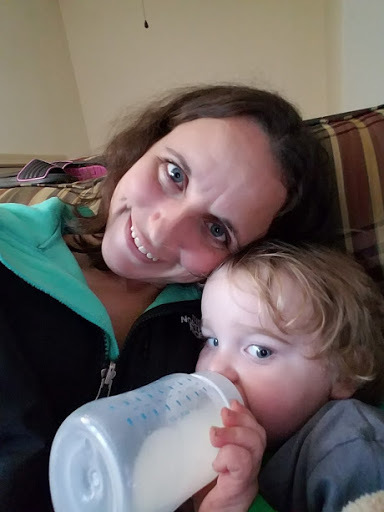 #5 Feeding Equipment: I personally cannot speak to breastfeeding gear(I hope to bring in a guest blogger to talk about breastfeeding gear) However I can talk about bottles. We finally found the perfect bottle (for us) with the Phillips Avent Bottles. Beware of any bottles that have vents in the bottom. They have a tendency to leak if you wash in the dishwasher, and my laptop almost was victim to being filled by formula on various occasions. 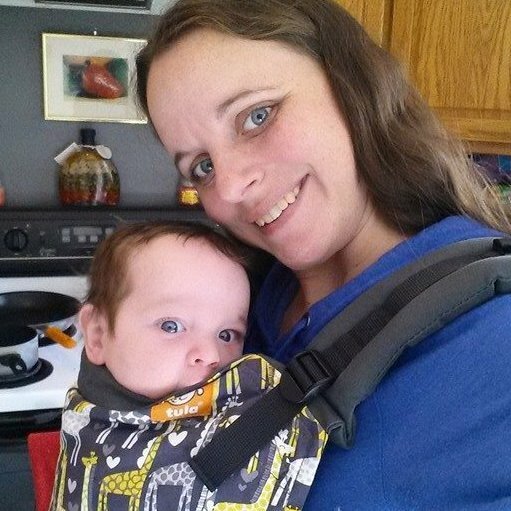 #6 Baby Carrier: I am a huge believer in baby wearing. It is an amazing thing, baby stays close, mom gets to use her hands & everyone is very very happy! I am a tula-fanatic so I am obviously going to suggest a Tula. 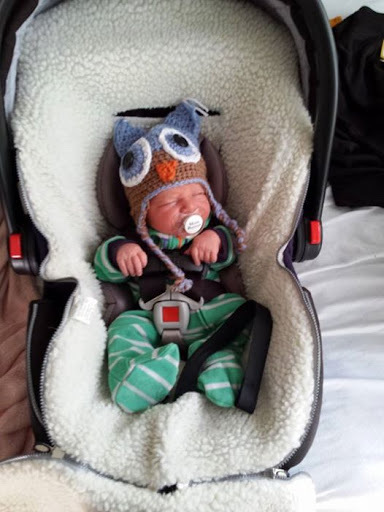 If you plan on wearing the baby before they are 3 months old, I suggest also getting an infant insert. PJ is currently 2 years old & we are still using our Tulas! #7 Co-sleeper: It is natural for a mother and baby to want to be near each other after birth. 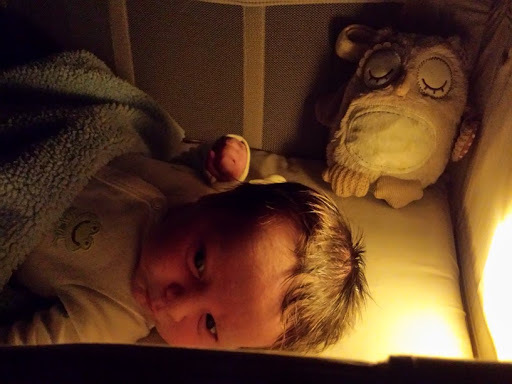 There are many options for cosleeping/bedsharing/roomsharing depending on your wants. We used an old fashion cradle for Dawn. She was completely in her own cradle next to me. When PJ was born, I wanted us to be closer to each other. We used an ArmsReach CoSleeper. I LOVED this. It was easy to soothe him at night & I felt very close to him, but he was safely on his own surface. There is now a wonderful third option if you want to go for safe bed-sharing, the Dock-a-tot. You need to have at least a queen sized bed for this one. Baby is in the bed with you but has a safe surrounding. I highly suggest researching safe-sleep, benefits of bed sharing and making the best decision for your family before making this decision! #8 Swing/Vibrating Seat/etc: I typically went with a more inexpensive choice for these. 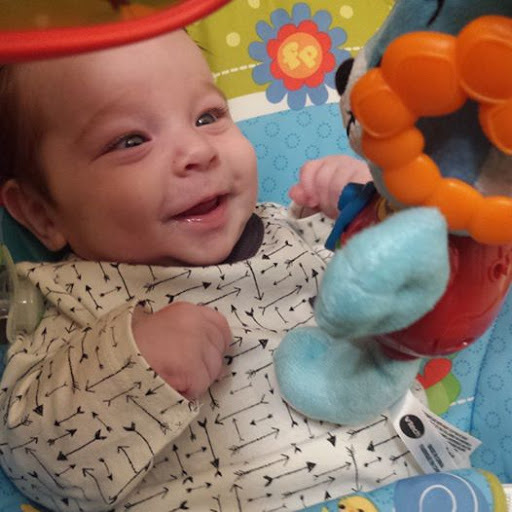 PJ actually LOVED his Fisher Price Infant to Toddler Rocker. This is one that I say, go with your gut! Choose what you like, what fits into your budget, etc. 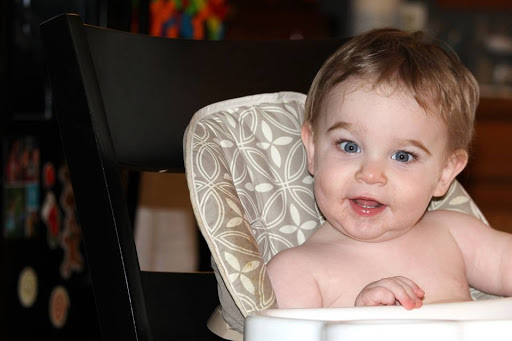 #9 High Chair: We had a huge high chair with Dawn. It was always in the way & honestly, it was very annoying. When I was pregnant with PJ I researched everywhere & decided on the Fisher Price Space Saver seat. This seat attaches to your own chair & can work as a booster as the child gets old. PJ is 2 and still loves his seat. #10 Diaper Bag: Until recently, I didn’t understand why there was such a HUGE price difference with diaper bags. Then I purchased my first “Designer diaper bag” The Jujube Be Right Back. I don’t know how I survived without it. This style is a backpack, amazingly designed with mom pockets and insulated bottle pockets. It has lots of space and BEAUTIFUL designs! Wearing my JuJuBe Be Right Back Diaper Bag on my back & PJ is napping in another one of our Tulas! Also, Check Out My List of 10 Things To Have Ready When You Have a Baby! 5 Things I thought were a waste of money! #6 Extra Infant Car Seat Bases- Infant seats can be installed very easily with a seatbelt & it is EQUALLY as safe! 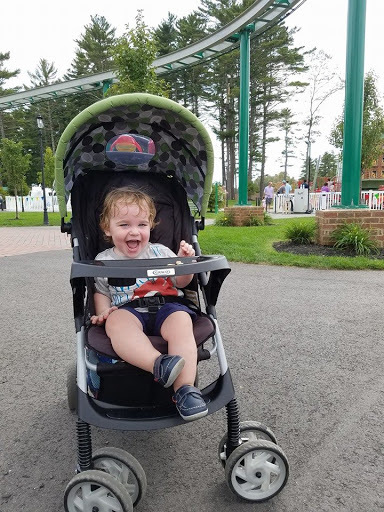 Previous postContaining Toddlers and Carrying Gear: 2018’s Top Strollers! Love this list Stacey! Such a great place to start – thank you! As a soon to be new mom – I'm confused on the difference between #1 and #4… do you suggest two different car seats? One for infants and then a convertible one that will better grow with them later? Yes! The infant seat you can carry them in (very helpful when the fall asleep in the car) then you can switch to a convertible when they are too heavy to carry in the car seat. However, some parents do skip the infant seat. This wasnt something I was comfortable with, I was too afraid of slipping on ice while carrying a tiny baby and I really liked the convenience of the infant seat.